It features a 8Kbyte non volatile memory, a high speed triple -DES data encryption co-processor, a flexible memory organisation structure, a mutual 3-pass authentication technique together with a true random number generator and an anti-tear mechanism to guarantee data integrity during contactless transactions. The MIFARE classic family is the pioneer and front runner in contactless smart card ICs operating in the 13.56 MHz frequency range with read/write capability. 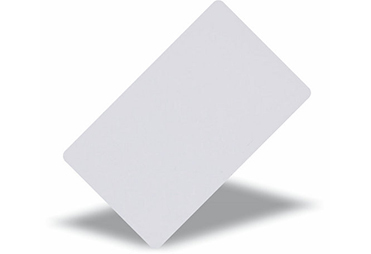 Mifare DESFire 8k PVC White Card with Magtripe. The card thickness is 0.84mm.